"Imagine a place where the dead rest on shelves like books. With a truly unique and original storyline, The Archived is an easy five star young adult book for me. It provided not only a great set-up, but also great characters, a great mystery and a great concept–death. It is the Keeper’s job to collect the Histories of the dead in the Narrows (the crew to collect them in the Outer,) and the Librarian’s job to catalogue the dead in the Archive. When Mackenzie, a Keeper, moves into a new apartment with her parents, she’s still racked with grief over the loss of her brother, but something ensues that turns an age old mystery into a new one. 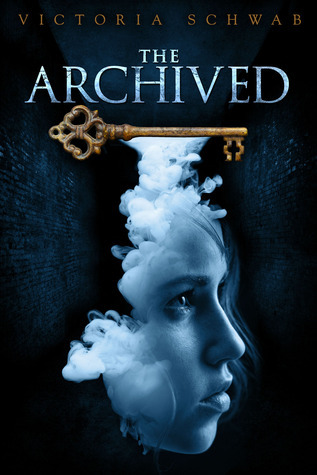 Mackenzie must learn to not only trust the right people, but to also bare and face her demons to protect The Archive from itself. I love the adventure in this book as Mackenzie plays detective to figure out he mysterious deaths that occurred at her new home, The Coronado. Her guarded and strong characterization mad her a type of heroin that makes, deals, and learns from her mistakes. I also became very fond of Wesley and how he complemented Mackenzie’s character as the sweet rogue who only wants to gain Mackenzie’s trust. This book is fresh, and a great read for those who tire of the typical young adult genre clichés. I would definitely recommend this book for the lovers of paranormal, fantasy, adventure and mystery. I absolutely cannot wait to delve into the next book of this series! What would you do if you had the power to wake up your deceased loved ones? Would you break all the rules, or would you let the past be?